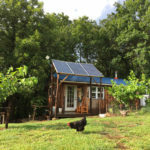 Good tools make jobs faster, homesteading more enjoyable, and tasks easier. 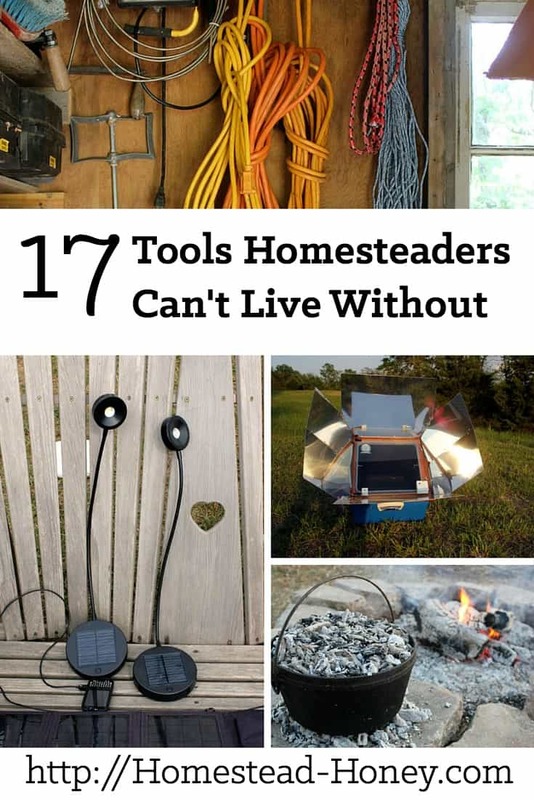 Sure, good homesteading tools cost more money, but they are usually well worth the investment, as a quality tool will last for years. We started collecting tools when we first moved onto a rental homestead in 1999, and still use many of those same tools today. 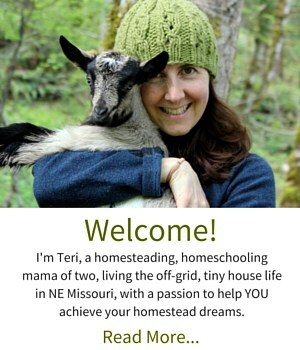 I asked some homesteading friends which tools they considered indispensable on their farm or homestead. 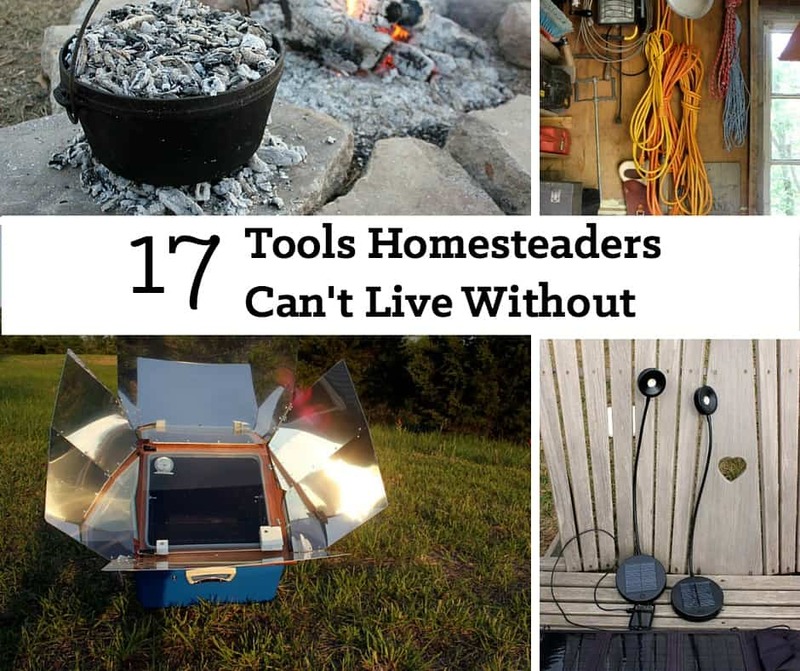 Here are 17 essential tools for homesteading and gardening that we wouldn’t want to live without. 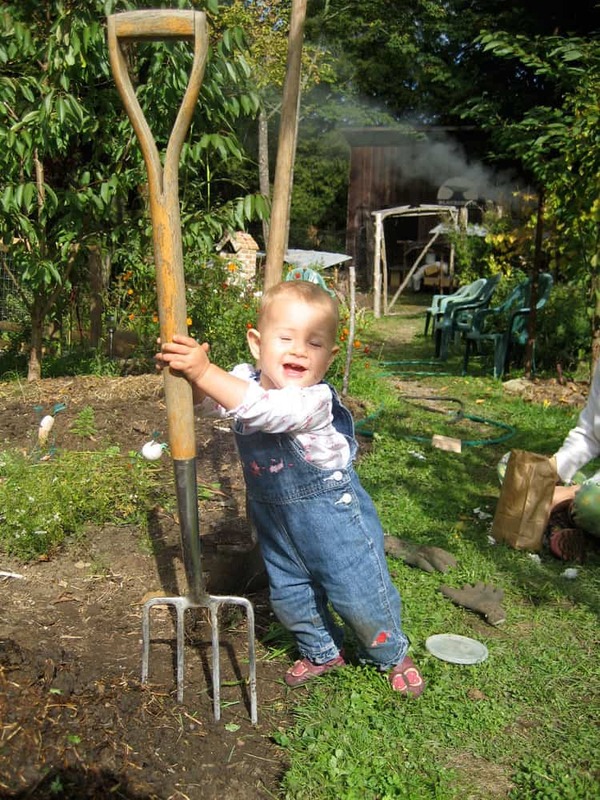 “For the garden it would be my diamond hoe” says Isis of Family Food Garden, whereas Quinn from Reformation Acres loves her hooke n crooke garden tool. Personally, I’m a big fan of a digging fork, and use it to gently prep my sheet mulch garden beds before planting. Melissa of Ever Growing Farm and Kathie of Homespun Seasonal Living both vote for their pressure canners. 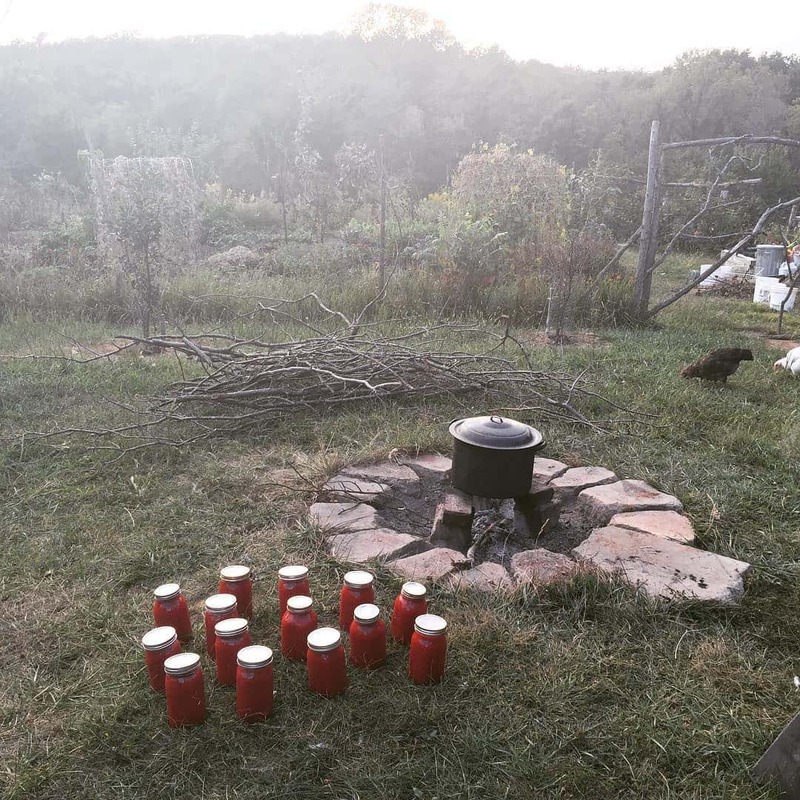 “Otherwise putting up that garden harvest for winter would be difficult,” says Kathie, who shares her favorite canning tips to save time and money in this post. Because we catch rainwater for drinking and cooking, it is important that we have a fool-proof way to make our water potable and safe. I love our Berkey filter because it uses no electricity, takes up little space, and makes all water taste fabulous. 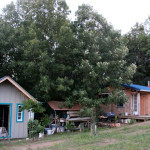 We love our Sun Oven and use it throughout the year to cook anything that we might have normally cooked in a home oven. 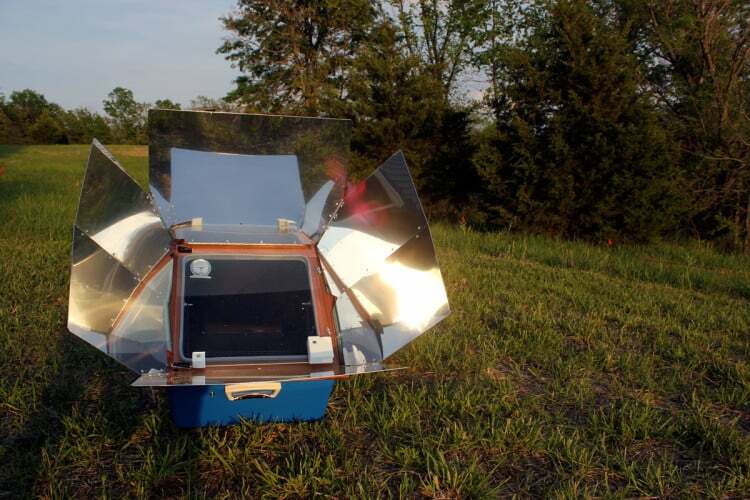 Learn more about how to cook or bake in a solar oven in this post. 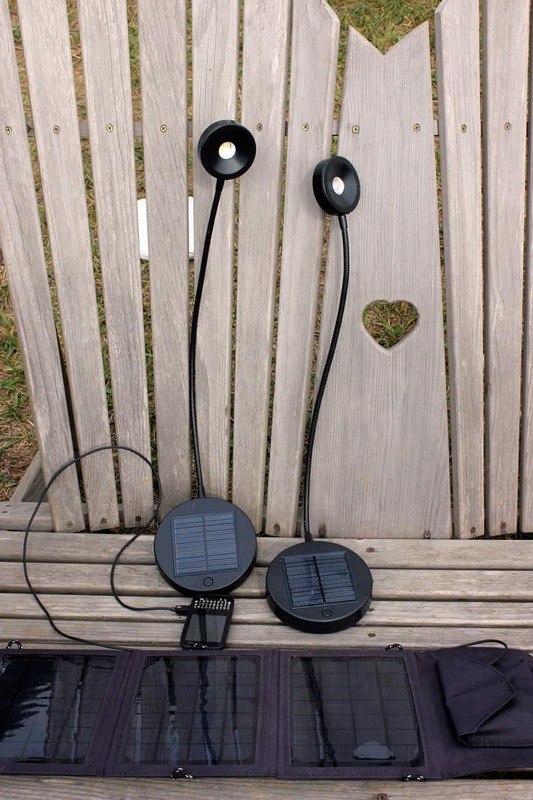 Before we installed our solar electricity system and lived with lights or electricity, we found solar lamps to be indispensable. Even now, we use them as reading lamps, charging them every few days on the porch. To do evening chores around the homestead, we agree with Kris, of Attainable Sustainable, that a good headlamp is a necessity! Melissa of Ever Growing Farm and I share a love for our Muck boots. I love that they are both great in mud and incredibly warm for winter chores. My kids also have a pair to keep them warm in winter. 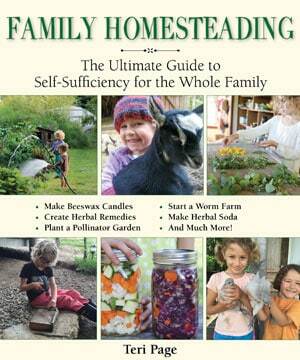 Are there homesteading tools you can’t live without? Share them in the comments! What about a wrought iron church key or a black walnut cutting board? 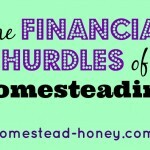 You sell essential tools, put in a plug for homestead made! I would second many of the above. I just made buckwheat oat bread and bison meatloaf in my solar cooker – in one day! Amazing. I would also add my wheelbarrow. I can’t count the hauls I make with it from season to season. 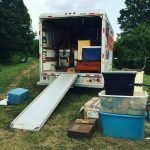 And in the same vein, our work sled that we use to move things around in the winter. Finally, my fermentation jar kits. We go through gallons of kim chi and pickles and this makes it so much more foolproof. Nice article. I wish that instead of the links to the people, you had put in links to the actual TOOLS. that would have been a much better help for those of us wanting to find what you are writing about.